The Australian Art Orchestra will bring us their take on Ol’ Louis. Picture: Wikimedia Commons. The Australian Art Orchestra has a long history of performing daring and experimental works. Having played instruments made out of confiscated Mexican weapons, fused traditional Indian music with Western jazz, and mastered both visual and aural aspects of a show, the ensemble know a thing or two about how to open our ears. The AAO will join with Ngaiire to give us their take on Louis Armstrong when they present Struttin’ With Some Barbeque at MOFO on January 19. Artistic director Peter Knight tells us how Louis left us a Wonderful World. Although the Australian Art Orchestra is steeped in jazz, their music is timeless and unbound by the restrictions of a single genre. Juxtaposing contrasting cultures, styles, and traditional and unconventional instruments, the award winning ensemble makes us think about how music from another place or time can still hold significance in the contemporary musical landscape. Artistic Director Peter Knight, who has won an abundance of awards for his work as a sound artist, composer and trumpeter, knows exactly why the music of the AAO is so well received despite being incomparable to anything we’ve heard before. “What we like to do, and certainly what I like to do as a musician and creator, is to take people on a journey,” Peter explains. 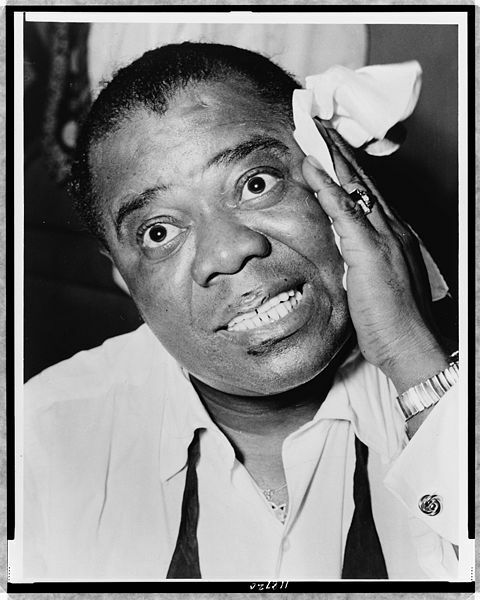 This time, the AAO will explore the life of Louis Armstrong through an interpretation of his classic hits, and Peter says the old jazz legend’s influence runs deeply through our culture today. “The Art Orchestra is interested in looking at these jazz musicians who have made really, really strong and unique and lasting contributions to the music,” he says. With Ngaiire as a female vocalist and an orchestra of turntables, this’ll be far from your average Louis Armstrong imitation. Composed by Eugene Ball, Struttin’ with some Barbeque will feature Tassie artist Linzee R. Nold’s projected illustrations and video installations by Sabina Maselli for an entirely immersive experience. While Peter himself admits the temptation of imitating Louis’ distinctive vocals, he says the AAO didn’t want to take the easy road and found perfection in Ngaiire as a less obvious choice. Along with belting out the classics like ‘When You’re Smiling’ and ‘Struttin’ With Some Barbeque’, she’ll also help to take us through Louis’ life from the early New Orleans days, right up to the ‘60s pop era through poetry and sampling. The Australian Art Orchestra with special guest Ngaiire will perform Struttin’ With Some Barbeque at the Theatre Royal on January 16, 6pm. Tickets and more info are available at www.mofo.net.au.